• Sole design and color designed to look like a persimmon driver. • Pear shaped club head inspires is pleasing to the eye has greater shot shape control. 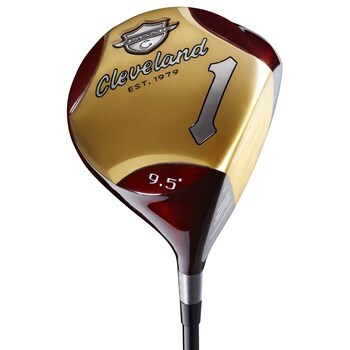 • Cleveland’s largest and deepest clubface ever, with a large effective hitting area and boring ball flight. • MaxCOR2 technology produces the maximum distance and forgiveness on hits not in the center of the face. • Gold colored trapezoid in the center of the clubface also serves as an alignment aid. • Right Weight Fitting drivers are designed for the optimal feel for every type of golfer. • The Classic 310 has a total club weight of 310 grams.